As an active alumnus, volunteer and honorary degree recipient, Allison McCain is no stranger to the University of New Brunswick. That relationship will only grow stronger now that New Brunswick’s Lieutenant-Governor and provincial government have approved Dr. McCain’s selection as UNB’s sixth modern day chancellor. "We couldn't be more pleased to welcome an internationally respected business leader like Allison McCain to the position of chancellor," said Eddy Campbell, president of UNB. "Allison has earned a reputation as a gifted manager and leader who skillfully balances a genuine concern for his employees with a long-term vision for the company. We look forward to benefiting from his experience." The eldest son of Andrew and Marjorie McCain, Dr. McCain was born and raised in Florenceville, N.B. He earned a degree in electrical engineering from UNB in 1972 and went on to work for the New Brunswick Telephone Company before accepting a position with McCain Foods in 1975. Over the ensuing 32 years, he held a number of domestic and international positions with the world leader in frozen foods, produce and transportation, eventually becoming the company’s chair in 2004. 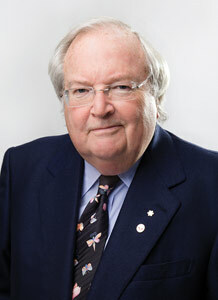 Dr. McCain has long been an active UNB volunteer and alumnus. In 2003, he was recruited to chair the university's 'Forging our Futures' fundraising campaign, which exceeded its goal by raising an unprecedented $107 million – then a record in Atlantic Canada. Dr. McCain's philanthropic activities extend well into the broader region, where he and McCain Foods support the arts, education, and numerous community activities and organizations. Dr. McCain is also chair of the Beaverbrook Art Gallery's board of governors, and serves on the board of the New Brunswick Business Council. In recognition of his many accomplishments and service to his community he was awarded an honorary degree from the University of New Brunswick in 2007. Noting that Kathryn McCain – Dr. McCain's sister – is currently chair of the UNB Board of Governors, Dr. Campbell said, "In Allison and Kathryn we have found individuals of great depth, talent and caring. Their experience and leadership will serve UNB well. What’s more, their respective backgrounds in engineering, business and the social sciences are a perfect reminder of the diversity of UNB’s expertise and program offerings." Dr. McCain will formally be installed as UNB’s chancellor as part of the university's convocation celebrations next October. He will succeed Richard J. Currie, who has served as UNB's chancellor since 2003. The university will grant Dr. Richard J. Currie the honorary designation of chancellor emeritus during his final graduation ceremonies at the end of May. He is only the second chancellor to receive such a distinction, following in the footsteps of Lady Violet Aitken who served as UNB’s chancellor from 1982 to 1991. UNB also plans to recognize Dr. Currie's tenure as chancellor and the profound impact he has had on UNB and the lives of many of its students at a tribute dinner in the fall. "In addition to his leadership and expertise, Dr. Currie has contributed immensely to UNB," added Dr. Campbell. "The prestigious Currie Scholarships that benefit our students and the remarkable Richard J. CURRIE CENTER are but two of the more recent examples. We are extremely pleased that we will continue to benefit from his guidance and support." Born in Saint John, N.B., Dr. Currie attended UNB as a Beaverbrook Scholar, graduating from the Technical University of Nova Scotia with a degree in chemical engineering. Following a stint at Atlantic Sugar Refineries, he graduated from Harvard Business School and worked for management consultants McKinsey & Company before joining Loblaw Companies in 1972, serving as president for 25 years from 1976. He was named president of George Weston Ltd. in 1996 and, in 2002, was appointed the chair of BCE, Canada’s largest telecommunications company. In addition to being Canada's CEO of the Year in 2001 and being inducted into the Canadian Business Hall of Fame, Dr. Currie was named one of Canada's 10 greatest chief executives of all-time by the Globe & Mail. 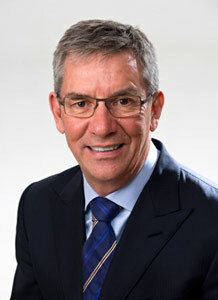 In 1997, Dr. Currie became a Member of the Order of Canada. He was promoted to Officer in 2004.